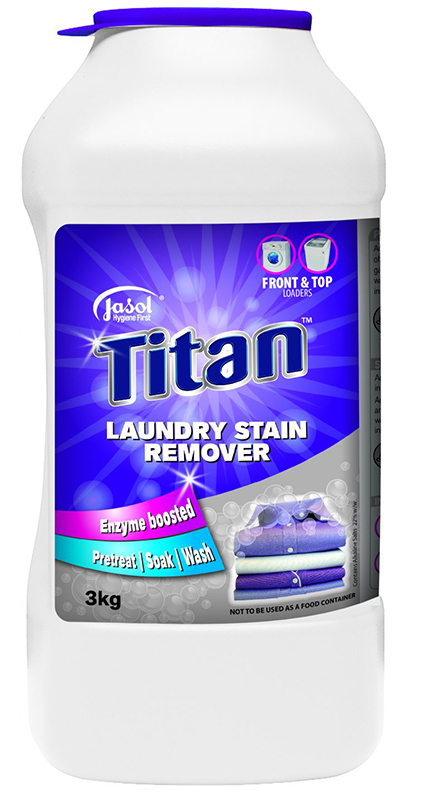 Jasol Titan Laundry Stain Remover is a powerful enzyme boosted formulation which penetrates deep into the fibres to break down tough stains like grime and grease, wine, blood, and even set-in stains. Titan Premium Quality Laundry Powder is enzyme boosted, specially formulated for powerful removal of stains and dirt. Front and top loader compatible. It leaves clothing clean and fabric fresh. Jasol economical Laundry Detergent. Suitable for most fabrics. Domestic and light industrial use. 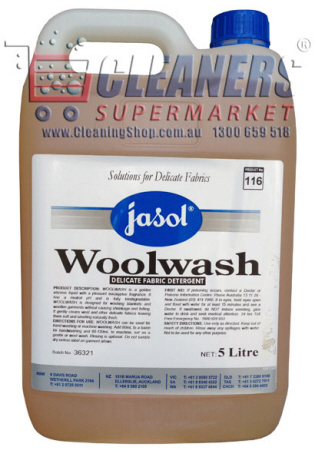 Jasol Woolwash Delicate Fabric Detergent. Eucalyptus woolwash, suitable for hand and machine washing, does not cause shrinkage or felting, concentrated formula, free rinsing. 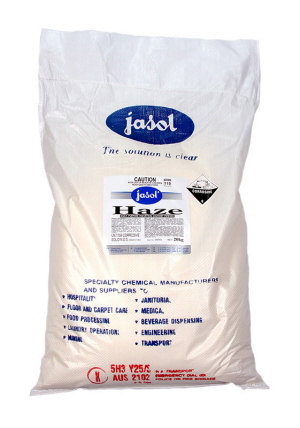 Jasol Klenzall Laundry Powder contains water conditioners & optical brighteners, effective in hard water. 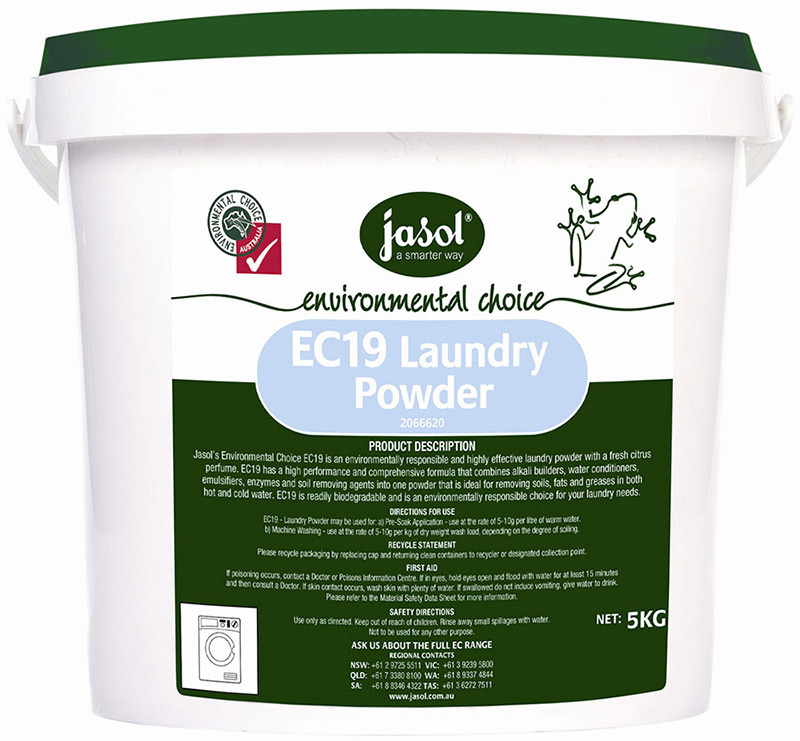 Jasol EC19 Laundry Powder with fresh citrus perfume readily biodegradable, environmentally friendly, and highly effective laundry powder. 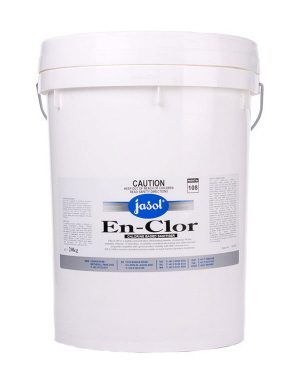 It has a comprehensive formula that combines alkali builders, water conditioners, emulsifiers, enzymes and soil removing agents. Ideal for removing soils, fats and greases in both hot and cold water. Available in 5kg. 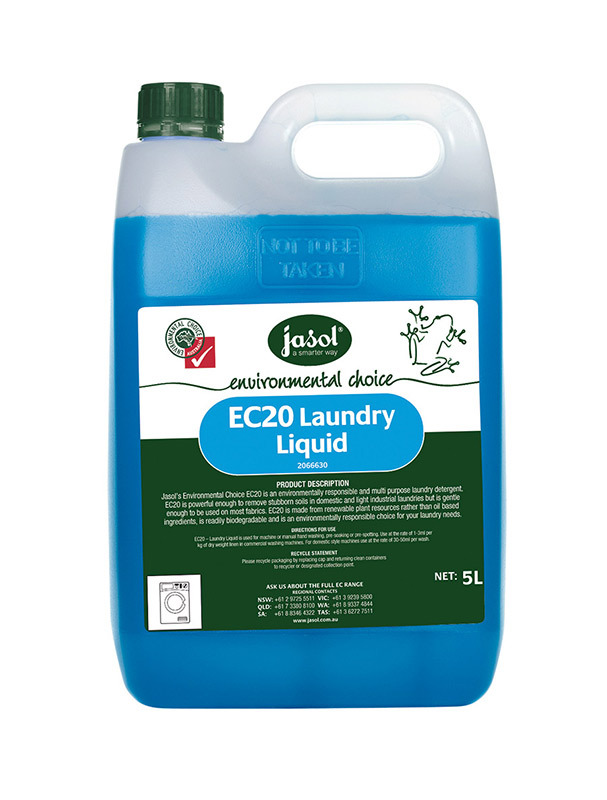 Jasol EC20 Liquid is biodegradable and environmentally responsible multipurpose laundry detergent which is powerful enough to remove stubborn soils in domestic and light industrial laundries but is gentle enough to be used on most fabrics. 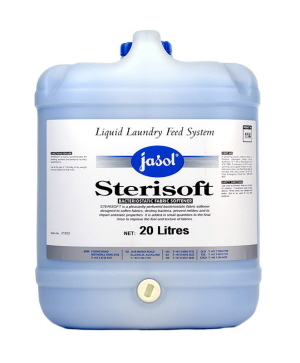 This laundry detergent is made from renewable plant resources, environmentally responsible for your laundry needs. 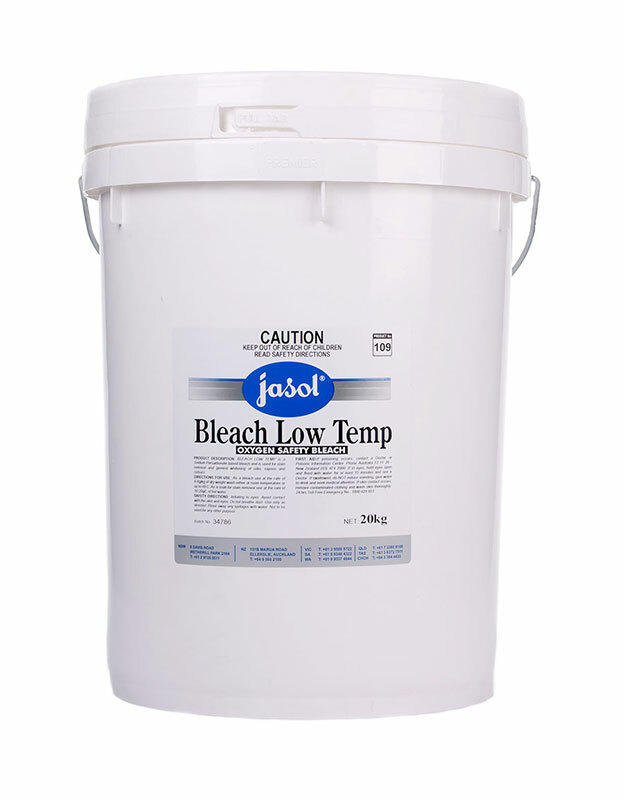 Jasol Bleach Low Temp Oxygen Safety Bleach is a Sodium Percarbonate based bleach used for stain removal and general whitening of silks, rayons & colours. It has low temperature oxygen bleach for coloured items. 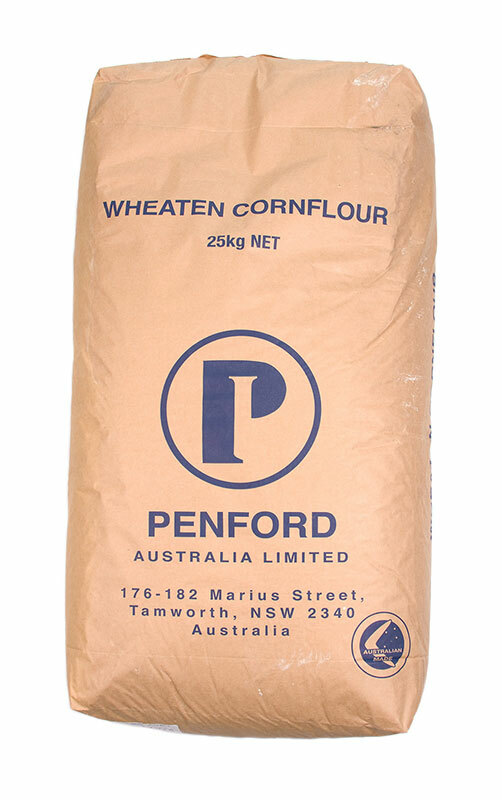 Available in 5kg and 20kg. 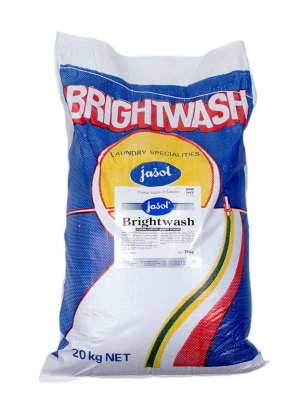 Jasol Brightwash is an economical laundry powder for use in top or front loading machines or handwashing. 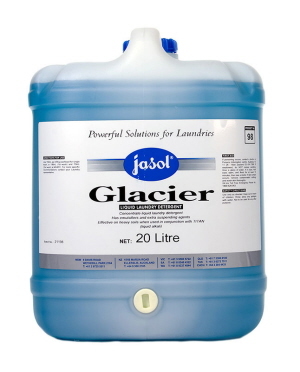 This economical one-shot detergent is perfumed and for use in hot or cold water. 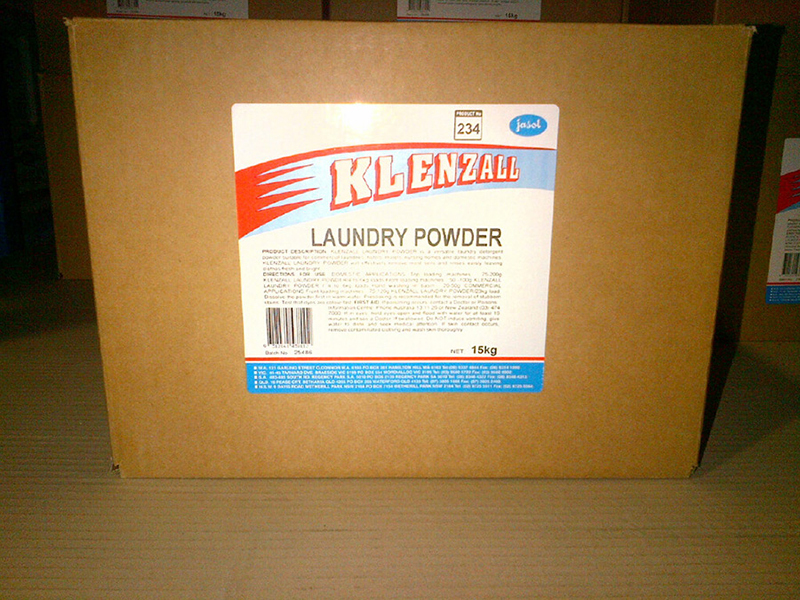 As a laundry powder, use as per directed on product label. 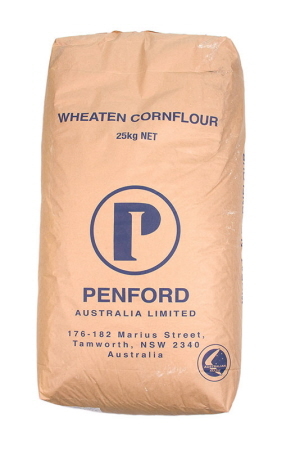 Available in 10kg and 20kg. 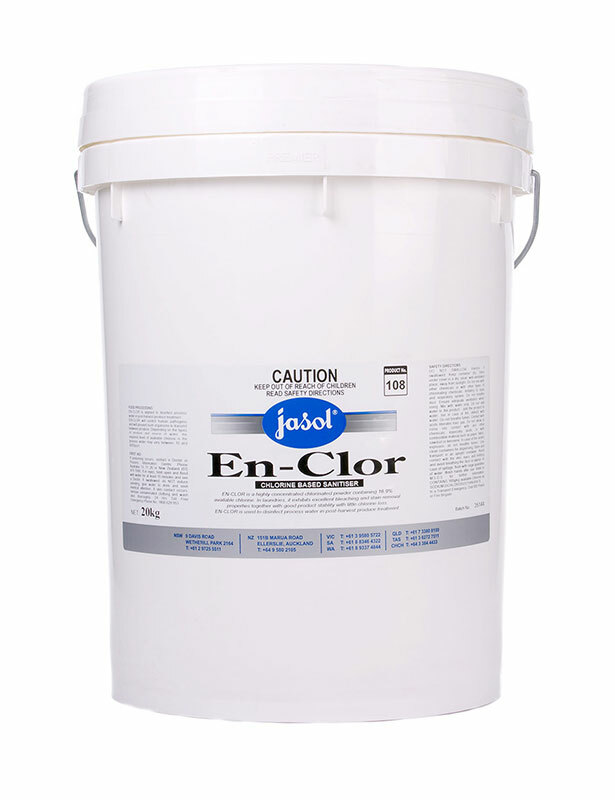 Jasol En-Clor Chlorine Based Sanitiser is a highly concentrated chlorinated bleach powder containing 16.9% available chlorine. 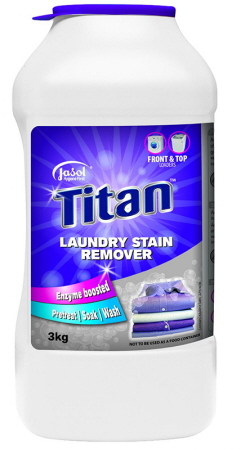 It removes stubborn stains, highly concentrated formula, readily soluble in the wash wheel, highly germicidal, suitable for most non-coloured fabrics. 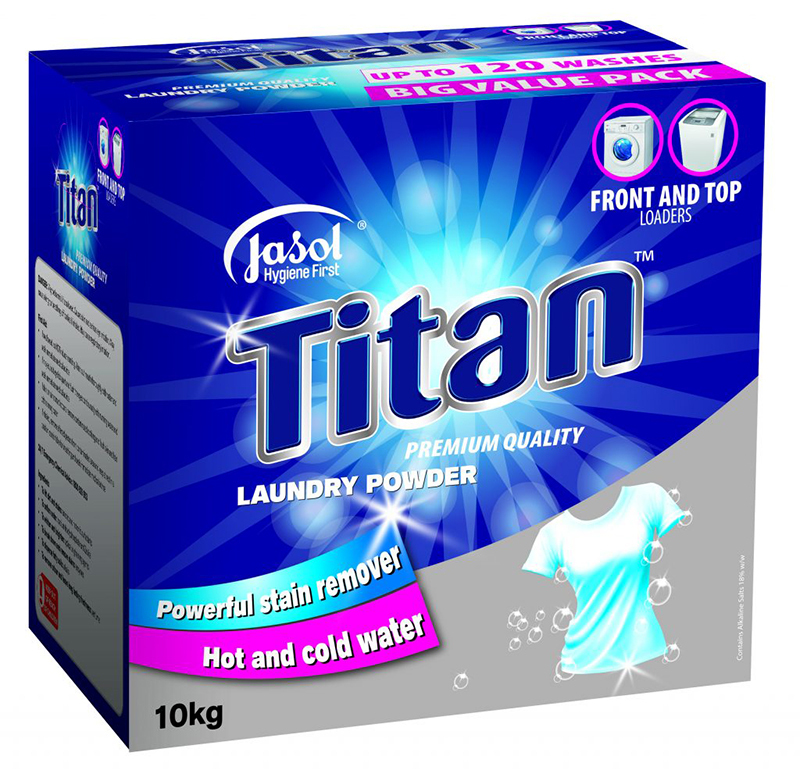 In laundries, it exhibits excellent bleaching and stain removal properties together with good product stability with little chlorine loss. 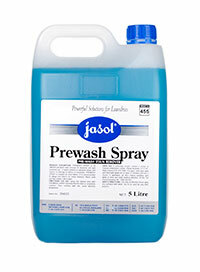 It is used to disinfect process water in post-harvest produce treatment. Available 1in 200kg. 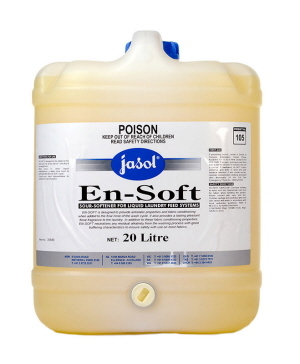 In addition to these fabric conditioning properties, En-soft neutralises any residual alkalinity from the washing process with good buffering characteristics to ensure safely with use on most fabrics. AQIS Approval. Jasol Forte Laundry Detergent Bag is an economical, versatile one shot laundry detergent that removes most soils. Rinses easily. 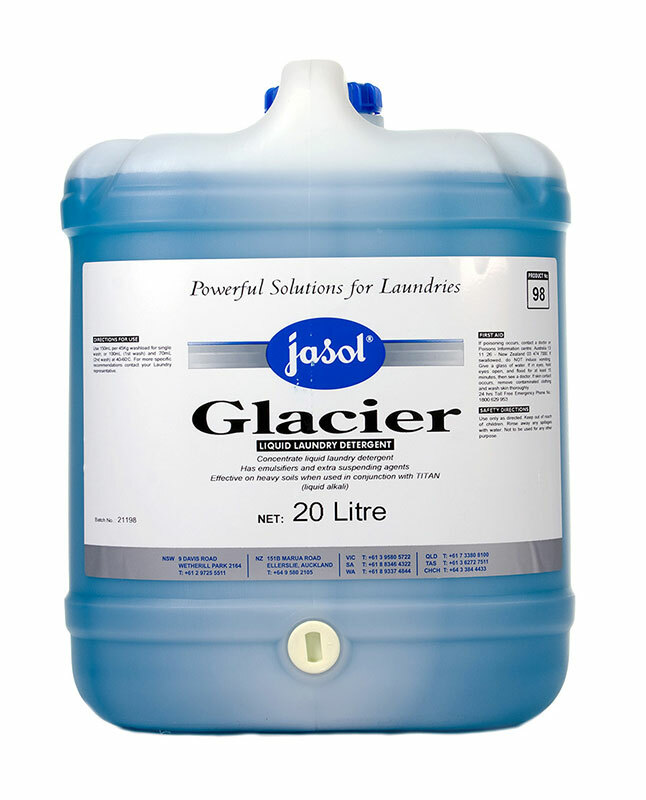 Jasol Glacier Liquid Laundry Detergent , high concentration detergent with excellent suspending and water conditioning agents. 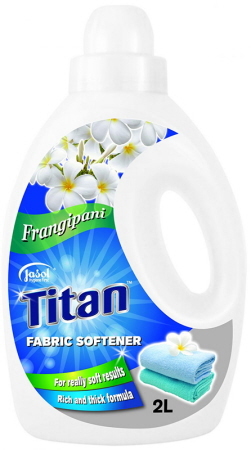 It has emulsifiers and extra suspending agents effective on heavy soils when used in conjunction with TITAN (liquid alkali). Low foam anionic and non-ionic surfactants and sequestrants. 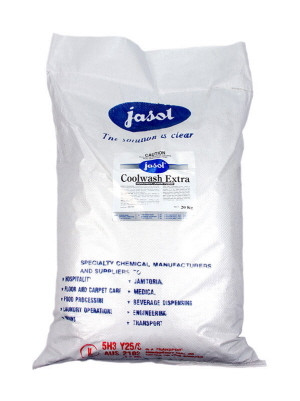 Excellent soil removal, free rinsing properties, suitable for cotton and polyester/cotton blends. Available in 10L, 20L and 200L. 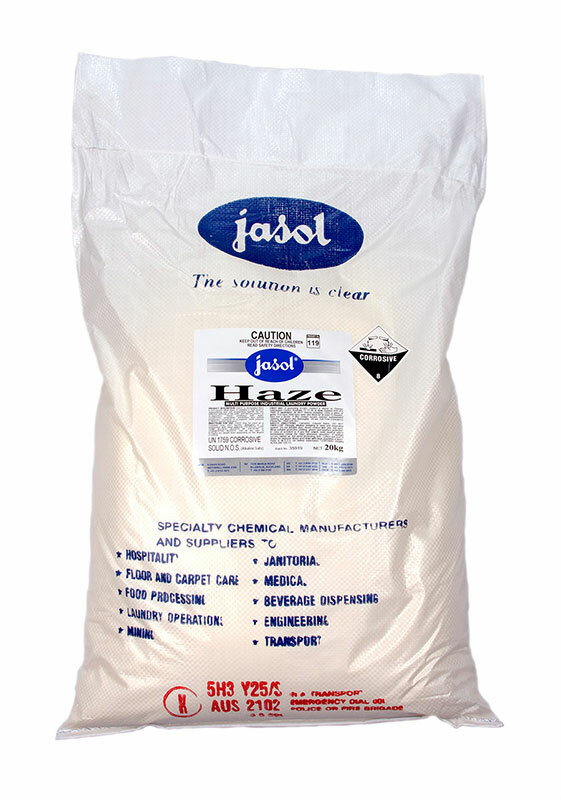 Jasol Haze Multi-Purpose Industrial Laundry Powder, silicate base heavy duty one-shot detergent. 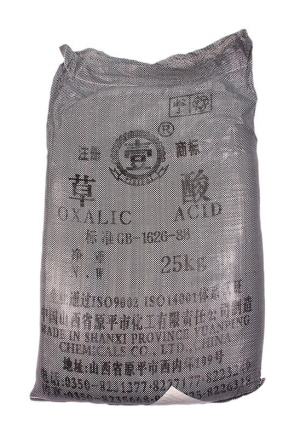 It is formulated from a non-caustic alkali base. Contains water conditioners and optical brighteners. 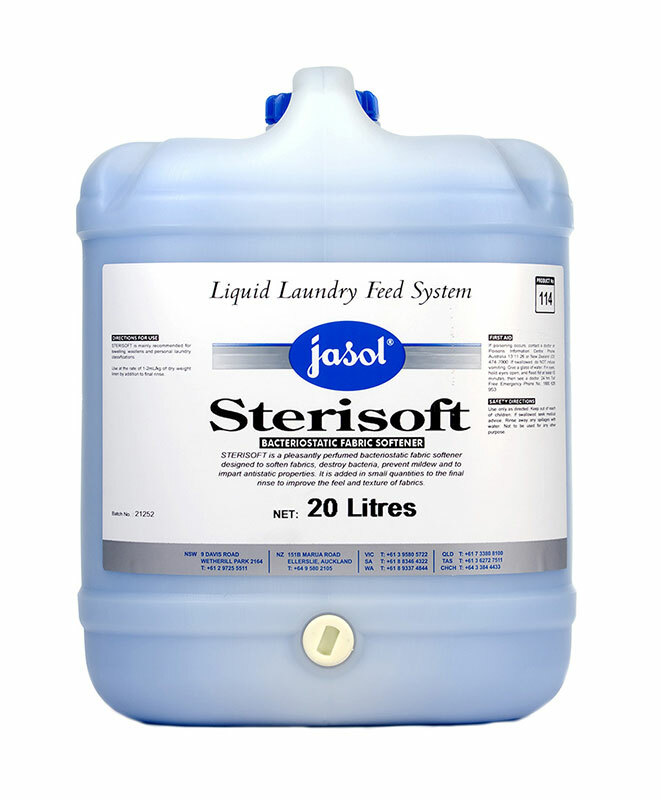 Jasol Sterisoft is highly concentrated fabric softener with pleasant perfumed fragrant. 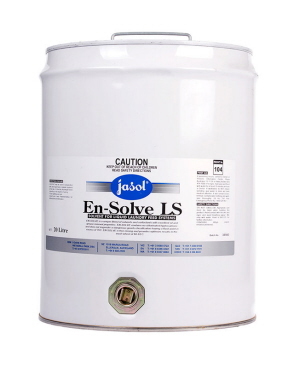 It provides lubrication for improved extraction and ironing properties. 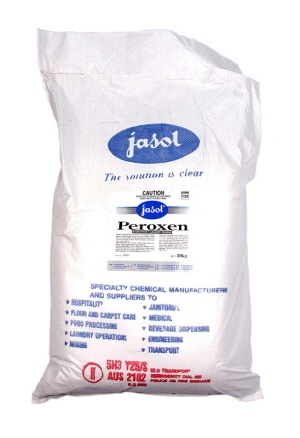 Jasol Hydrogen Peroxide 50% is a bleaching agent for removing Stains without damaging the fabric or colours. 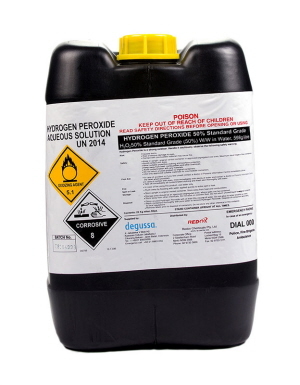 50% available oxygen bleach for white and coloured items. 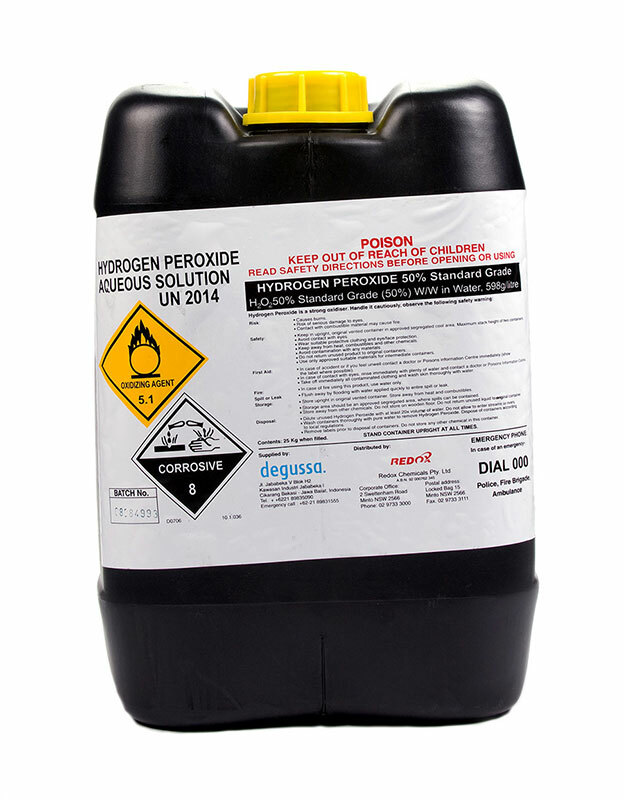 It provides excellent whiteness and stain removal. Used successfully on any washable material. NZFSA Approved. Available in 25kg. 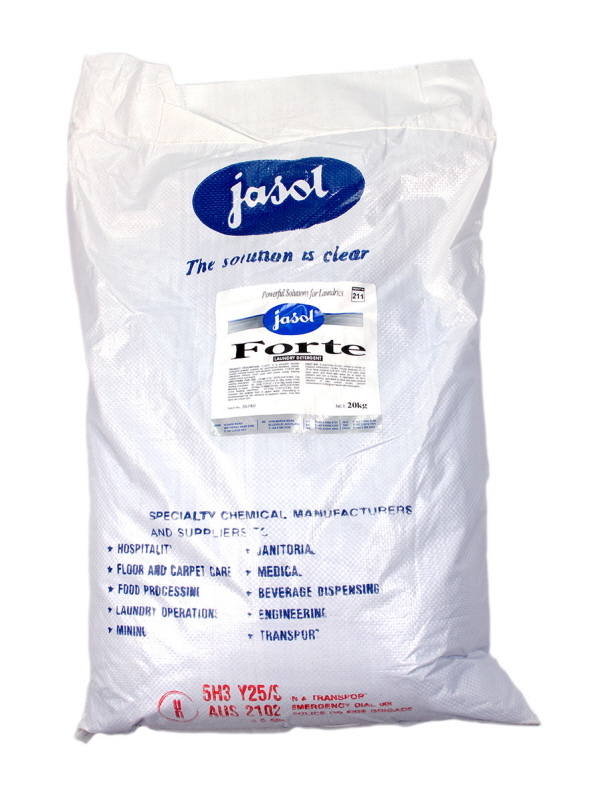 Jasol Oxalic Acid reduce scouring Agent for general laundry at work. Simply add at a rate of 5-10g per kg dry weight linen. Jasol Peroxen Bio-Enzymatic Laundry Powder helps digest proteinous matter such as blood and foodstains, as well as starch residues from milk products and syrups etc and human fats. 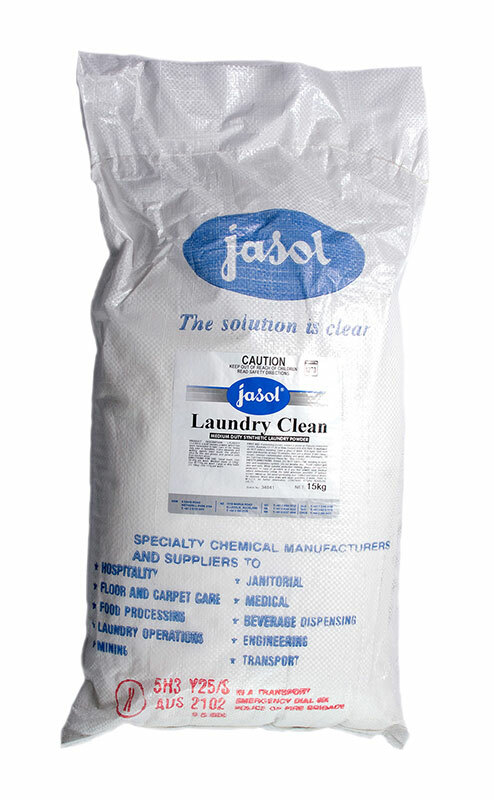 Jasol Powerclean Medium Duty Synthetic Laundry Powder is an economical one-shot detergent with a citrus fragrance. This general purpose powdered laundry detergent is free flowing, biodegradable, effective in hard water, contains water conditioners & optical brighteners. Use at the rate of 6-10gms per kg dry weight linen dpending on the degree of soiling. 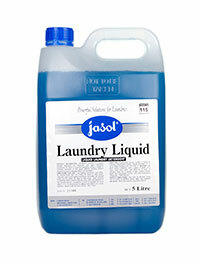 Jasol THS Liquid Oxalic is used as ust ​stain ​remover ​for ​laundries.​ ​Use ​as ​directed ​on ​product ​label. 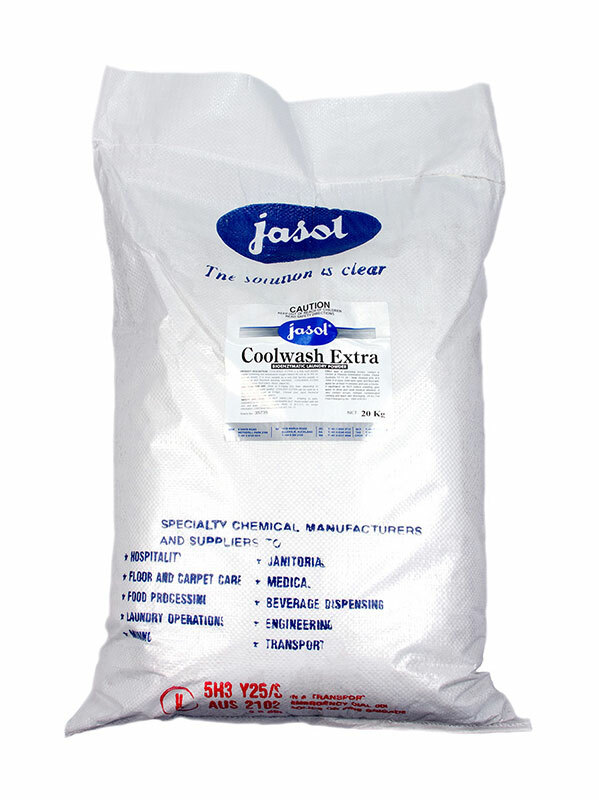 Jasol Coolwash Extra is a highyly effective bioenzymatic, one-shot laundry powder that removes food stains, blood, sweat etc. Jasol Laundry Clean Medium Duty Synthetic Laundry Powder is biodegradable, general purpose laundry detergent suitable for stock solutions, contains water conditioners & optical brighteners. Jasol THS Correct 40% Liquid Laundry Neutraliser premium strength souring agent. AQIS Approval. Available in 10L and 20L. 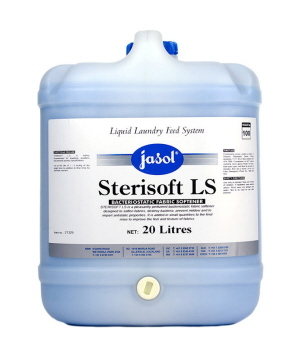 Jasol Sterisoft LS Bacteriostatic Fabric Softener highly concentrated with a pleasant floral fragrance designed to soften fabrics, destroy bacteria, prevent mildew and to impart antistatic properties. It is added in small quantities to the final rinse to improve feel and texture of fabrics, leaving a soft supple finish. For easy ironing. Available in 10L and 20L. ​Recommended ​for ​towelling,​ ​woollens ​and ​personal ​laundry ​classifications.​ ​Use ​at ​the ​rate ​of ​1-​2mL/kg ​of ​dry ​weight ​linen ​by ​addition ​to ​final ​rinse. 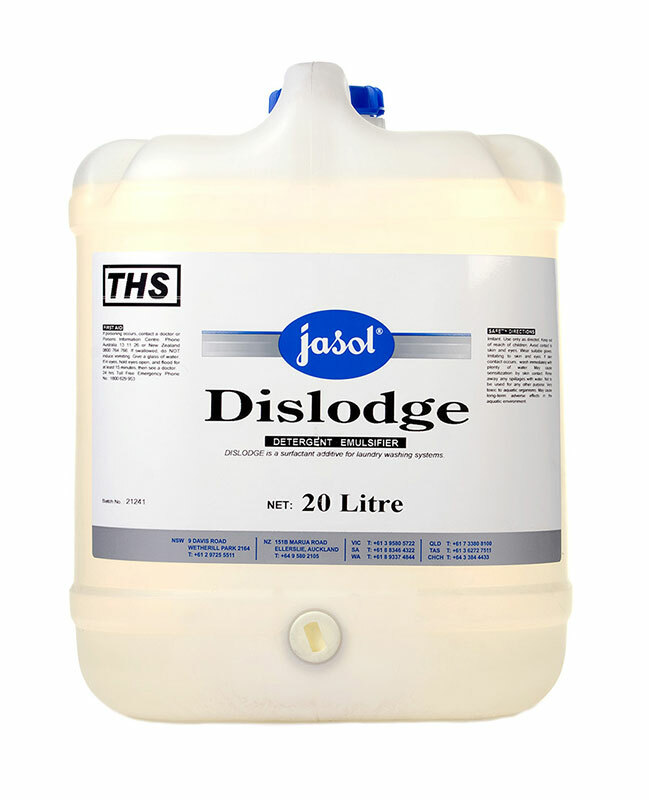 Jasol THS Dislodge Detergent Emulsifier is a surfactant additive for laundry washing sytems highly effective for heavy oily and greasy soils.